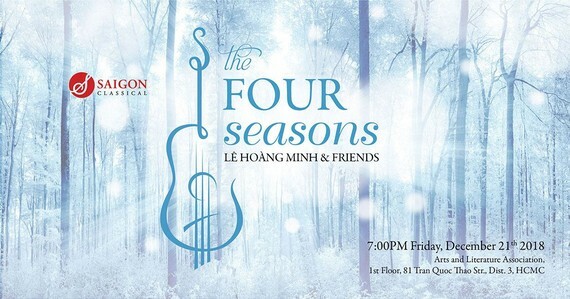 A concert titled The Four Seasons featuring classical guitar music pieces will be held at the Ho Chi Minh City Literature and Arts Association on December 22. The concert will be performed by guitarist Le Hoang Minh and the Saigon Classical, an organization that aims to bring Vietnamese classical performers to the public and create a platform for classical music lovers in the city. Vietnamese-Australian guitarist Le Hoang Minh is a member of the popular quartet Guitar Trek in Australia. 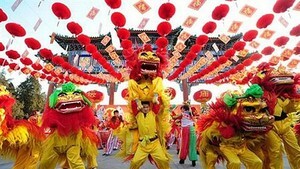 He has participated in many concerts in the Europe and international music festivals throughout the world. Le Hoang Minh was the first-prize winner at the 50th Tokyo International Guitar Competition and is head of the guitar department at the ANU College of Arts & Social Sciences in Australia. The guitarist’s first solo album named “The Fall of Birds” was released in 2008 and received positive reviews from critics and media. The latest album ‘Duo Merindah’ which is a mixture of guitar and flute, has also received great applause.